A few weeks ago I found this amazing Kale and Cranberry Salad at Whole Foods (on their salad bar) that was very light and had an great combination of flavors. But, the last few times I’ve been to the store they don’t have it : ( only other variations that don’t seem quite as tasty. So, last night I decided to just buy all the ingredients myself and try to create something similar on my own. 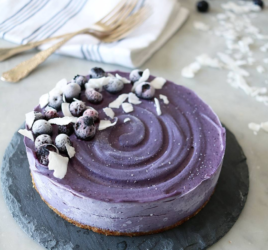 I don’t know if these are the exact ingredients – but it turned out very similar. I think the sesame oil and orange juice (you can use lemon) takes the bitter taste out of the kale. 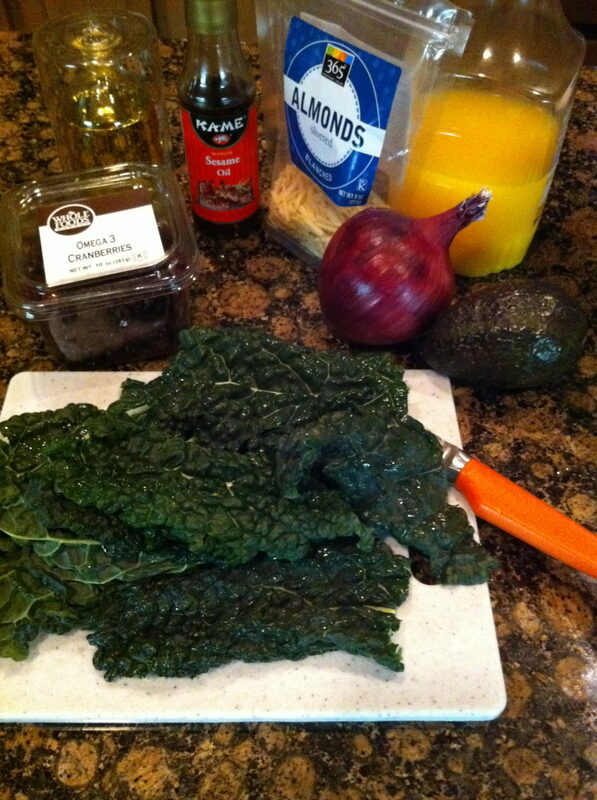 Let the oil and citrus mixture sit on the kale while you chop and prepare the other ingredients. I also chilled my salad for about 15 minutes before serving and it helped the flavors combine better. 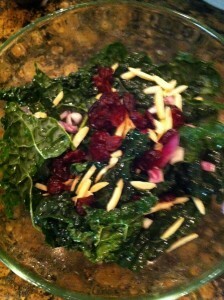 If you aren’t a fan of raw kale or kale salad, try this other cooked kale recipe HERE. Kale really is a superfood and is the perfect thing to eat this week if you are trying to “detox” from all the holiday junk you’ve been eating. 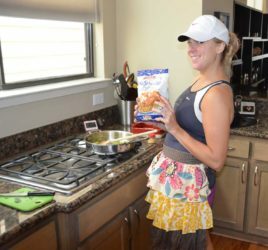 *Adjust ingredients depending on how many servings. The above amounts will provide 2-3 big servings. Directions: Wash, dry and tear kale and place into a large bowl. Whisk together the oils and lemon (or orange) juice and pour over kale to marinade. Then, add chopped onion, almonds, cranberries and salt/pepper. Toss lightly and then chill for 10-15minutes (optional). Before serving add sliced avocado. Try this salad and let me know what you think!